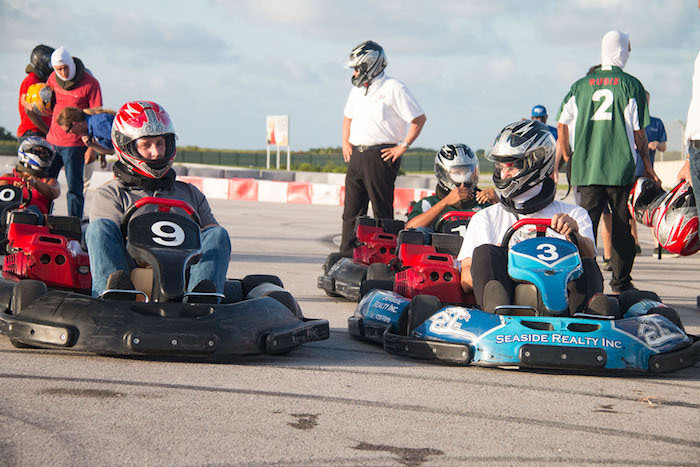 Have you ever wondered what it would be like to either drive a go-kart or a race car around a professional race track? Bushy Park Barbados offers thrilling driving experiences for both children and adults. There is the Karting Experience (suitable for those 12 years and up) and the Kids Karting Experience for children ages 5-11 years. The Suzuki Swift Driving Experiences offers you the chance to enhance your driving skills or learn and practise new techniques in a controlled environment. Choose from the Suzuki Swift Ride where a professional driver will redefine what you think a car can do, or the Suzuki Swift Drive, when you get to swap seats with your instructor, or the full Suzuki Swift Advanced Drive where you can lap the circuit “flying solo”. Safety is the utmost priority. The karts are designed to meet worldwide ‘arrive & drive’ safety regulations, with front, side and rear crash protection. Safety gear is provided – neck brace, balaclava and helmet. All karters must watch a safety video prior to their experience which demonstrates the use of the various flags and their meaning; how to get in and out of the kart etc. It is mandatory to sign a Liability Waiver prior to the start of the event. Karting drivers 18 years and under must be accompanied by an adult guardian during the briefing, who must sign a waiver on their behalf. For further details and prices visit the Bushy Park Barbados site or download their brochure here.